Web Portfolio - UNI Data Inc.
Clean Website Design To Get Your Organization Out To The Masses! Businesses need to be online today to get noticed. UNI Data is proud to offer top-notch website design services that help get your business out to your valued clients. Our websites are designed to be clean and trendy, using the best technology to aid in your online marketing. We pride ourselves on offering secure websites so your valuable information is safe. We also offer website hosting, email and more. Check out some of our recent website design work. The New Brunswick Association of Optometrists (NBAO) is the professional association that represents Doctors of Optometry in New Brunswick. 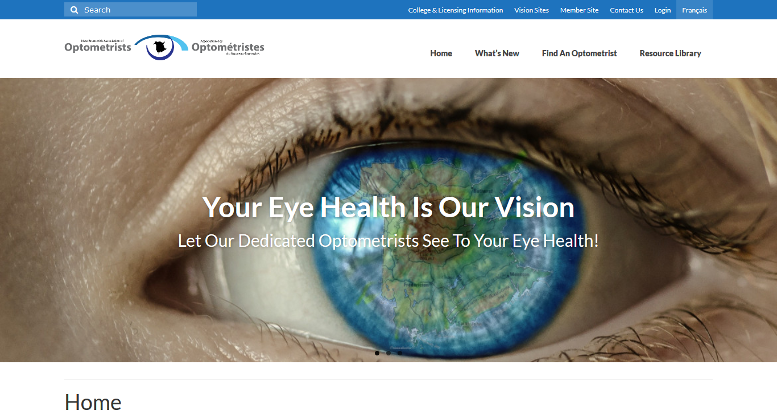 This website offers eyecare & eyewear information for patients, as well as providing an online resource for Doctors of Optometry and other health care providers. As a décor and design resource, Brigham Interiors’ valued services are available to residents in the Fredericton and surrounding areas for aide in residential building and renovation consultation and project management, interior wall finishes consultation, wallpaper installation, custom sewing and upholstery, interior staging, and custom furniture refinishing. KNOW The Value of Your Property! When you hire a member of the New Brunswick Association of Real Estate Appraisers (NBAREA) (excluding an Affiliated Member), you are hiring a dedicated professional appraiser that will work for you. The practice of real estate appraisal includes the analysis and evaluation of real estate, or any interest therein, for the purpose of providing a value and for providing advice and counseling with respect to value. Your appraiser will provide an objective estimate or opinion of value of the described property. Vanwart Management Ltd. is a full service Property Management company providing professional services to both tenants and landlords in the Greater Fredericton Area since 1972. They are committed to providing superior tenant management services and as a result deliver, in a very timely manner, professional attention for all repairs, maintenance and other tenants concerns. The Canadian Mental Health Association, a nation-wide, voluntary organization, promotes the mental health of all and supports the resilience and recovery of people experiencing mental illness. CMHA accomplishes this mission through advocacy, education, research and service. Coastal Machine Works’ core business is the manufacturing a large series of lathed and milled work-pieces for various industrial markets. 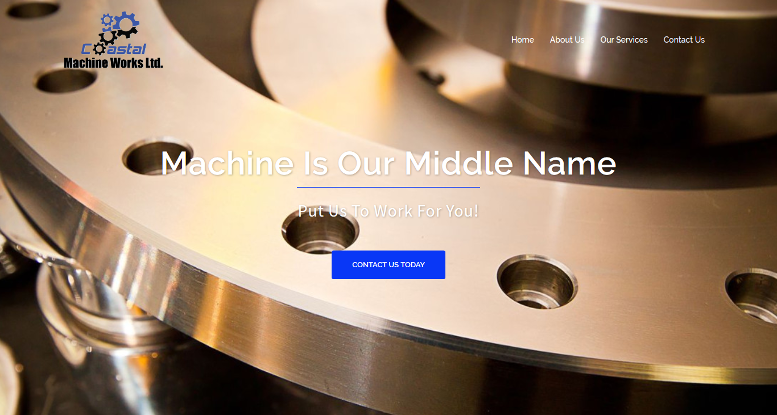 Our main focus is CNC Manufacturing, Lathing, and Milling. We pride ourselves on the top quality of our specialized sophisticated mechanical components. Coastal designs and fabricates many types of industrial equipment and components. We strive to be the masters of metal fabrication. Our technicians are highly skilled, with years of experience in this field. 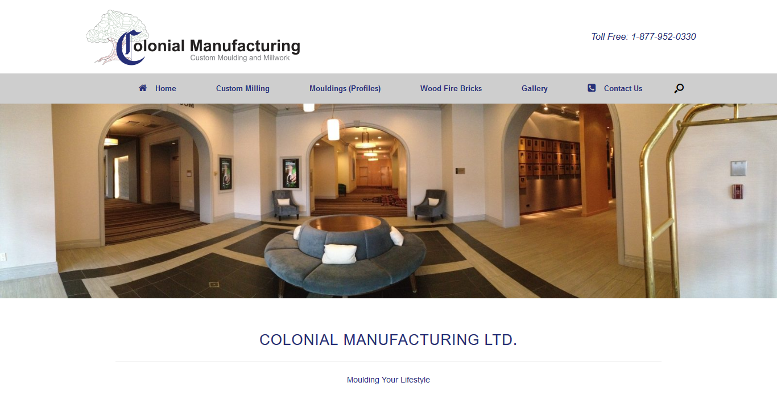 Colonial Manufacturing is a well-established wood moulding and custom millwork company located in Fredericton, New Brunswick. The company was founded in 1981 by Arnold Acton and Laurence Gilbey. Colonial Manufacturing has grown from humble beginnings to a recognized supplier of high-quality moulding and millwork products throughout Atlantic Canada. 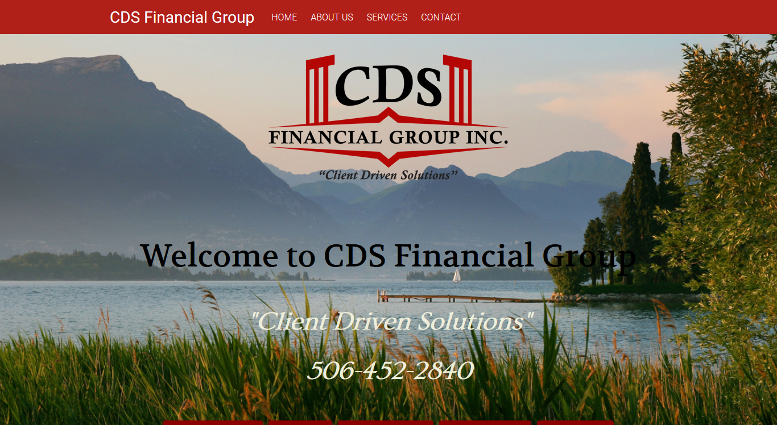 CDS Financial was incorporated in 2010 by Gary Dunphy. Gary is a life member of the MDRT (Million Dollar Round Table). Owen Dickie joined as partner in 2014, bringing over 20 years of experience in the financial industry. They specialize in Financial Planning, Insurance, as well as, Investments, Employee Benefits, Travel Insurance and Individual and Group Health plans. Their advisors work in all Atlantic Provinces - New Brunswick, Nova Scotia, Prince Edward Island, Newfoundland & Labrador. They pride themselves on “Client Driven Solutions”. Born and raised in Fredericton, Jack Jardine has been a dedicated, full-time real REALTOR® in the city and surrounding areas for 30 years. 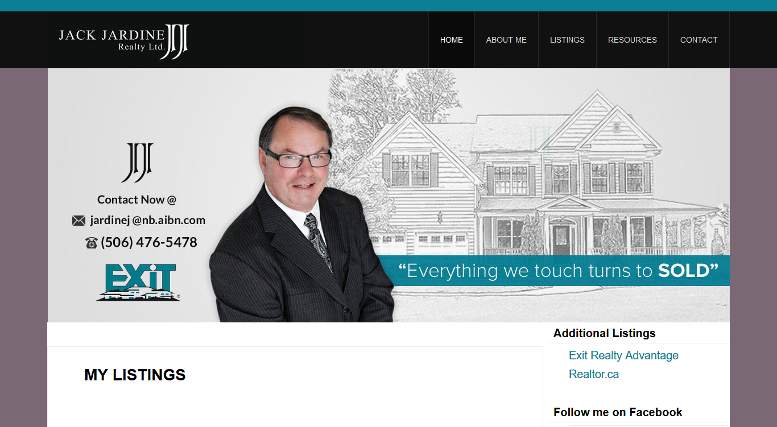 An award winning REALTOR® throughout his career, Jack knows the housing market inside and out. Jack prides himself in delivering the best real estate experience possible to his clients, whether they are buying or selling. Jack welcomes past and future clients to contact him anytime. 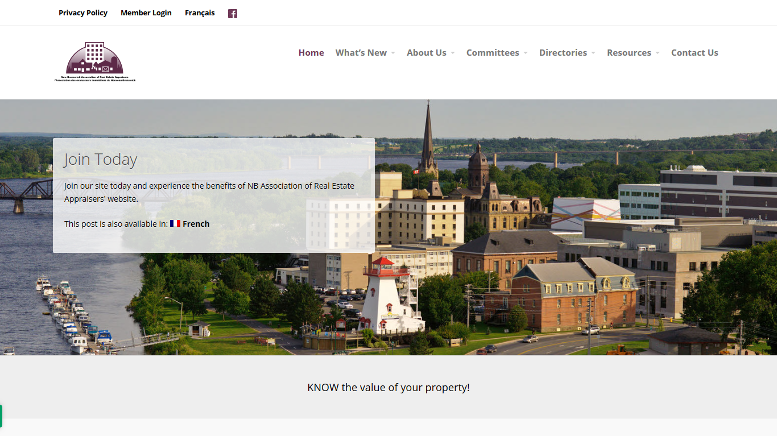 EPR Daye Kelly & Associates is an independent member firm of EPR Canada Group Inc. located in beautiful Fredericton New Brunswick. 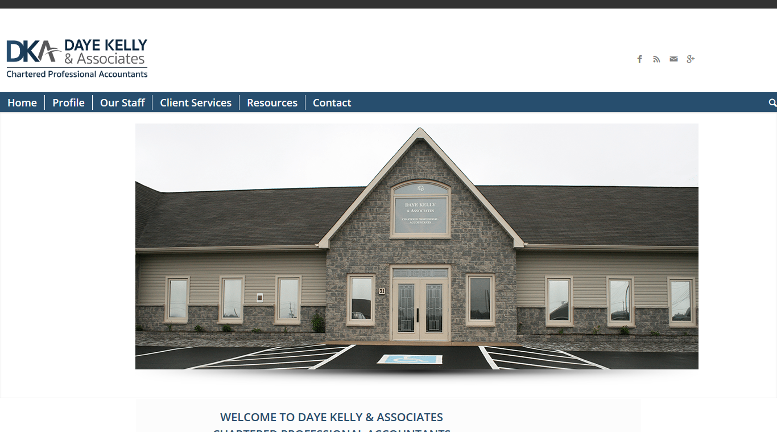 The Daye Kelly firm proudly offers a wide range of services to their individual and business clients. Their satisfied clients benefit from personalized, high quality service that is beyond comparison. They believe in the value of relationships, viewing every client relationship like a partnership, and truly believe that their success is a result of your success. The UNI Data team is proud to offer is award-winning website design solutions. Our professional staff is friendly, knowledgeable and looks forward to working with you to help you get you online. We try to provide you with fast and reasonable quotes. We truly believe that getting online does not have to break the bank. Contact Us today to see what we can do for your organization or business. If you like what you see, feel free to Contact Us anytime. Our professional Web Design Consultants look forward to helping you get your business online!